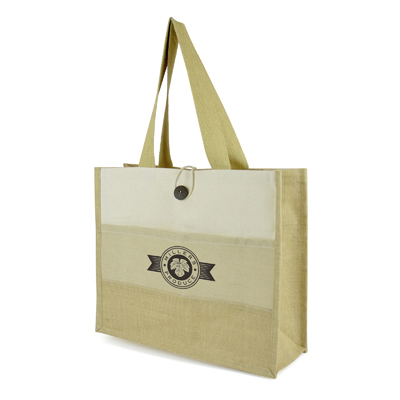 Description: Large laminated natural jute shopper with juco and 10oz cotton canvas stripped design to the front. Features include long cotton webbing handles, button-loop closure, front pocket and strong gusset. Available in natural.